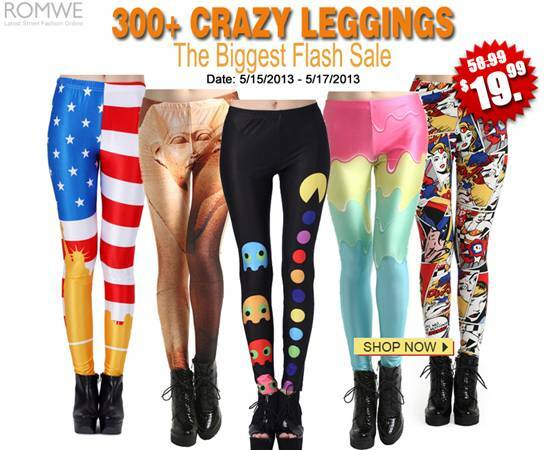 romwe's biggest leggings flash sale! Now's your chance to shop for all those super cool leggings you've been wanting for the looooongest time! Romwe is having its biggest leggings flash sale ever! Only 72 hours! Go Shop Now!